This Me109 ("Gustav") is at the USAF Museum. Our thanks to them for the picture. Jerry Kilroy (known as Yorlik) brings a laugh to the story of being Kilroy with a tale of a downed Me109. Jerry is Mike Kilroy's father. See Mike's web site at www.kilroywashere.com. "Smart Bombs" were new in Desert Storm, right? Wrong! They were new in 1943. In a 12/27/00 NBC newscast, they referred to the loss of the H.M.T. Rona, a British transport carrying 2000 U.S. Army troops. 1015 men were lost. 606 were saved. According to NBC, it was the greatest loss of US Army personnel at sea of the war. The Rona was lost to Nazi guided bombs (technically: "Radio Controlled Glide Bombs.") 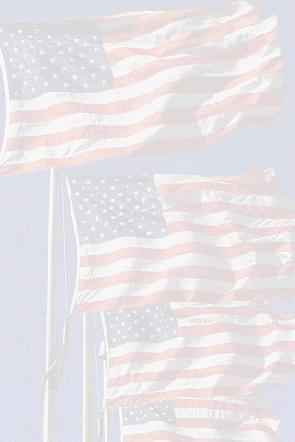 Read Orus Kinney's account of his and others efforts to thwart them while serving with Admiral Moon at Utah Beach. During preparations before the June 1944 Normandy landings, the U.S. lost 700 servicemen in a landing rehearsal off the coast of England. The History Channel on Sunday , May 13 10:00 PM Eastern. Military Blunders, Operation Tiger: Disaster before D-Day. Here's a hair raising story from WWII that doesn't directly involve combat although combat was close at hand and came before and after. Don't miss this one from a "defensively equipped merchant" ship of the Royal Maritime Regiment RA. At last, here's one of the funny stories my brother told me about his adventures and misadventures in WWII. His stories are probably what started my interest in WWII on a personal level. Joe is a Story Teller in the grand old Texas tradition. He was the stereotypical older brother when we were youngsters, always pulling tricks on me. He became my hero and lifelong role model when, as a 12-year-old, I watched him proudly go off to war. Joe never saw a situation he couldn't find humor in. To hear him tell it, nothing happened to him in occupied Germany that wasn't funny. He got back from the war and like other veterans set about catching up. His love of animals led him to become a veterinarian and build a beautiful animal hospital in Jackson, MS. He is now a very active retiree. He hasn't lost a bit of his sense of humor! Lets face it! What's a site about WWII and Korea without mention of VD movies and short-arm inspections. Sgt. Joe Tillery reminds us with his usual humor. Schweinfurt, the mission against the main ball bearing plant which supplied most of the German war effort, was the "Gettysburg" of the 8th Air Force as it was the bloodiest and worst loss of the Air War over Europe. We lost 65 planes (60 over Germany) that day which meant 650 men were Missing in Action. The Germans threw everything at us but we still bombed the target. At the time it was only another rough mission. Now 56 years later, I find it is considered one of the pivotal events of World War II. This B-17g is at the USAF museum in Dayton, Ohio. This picture and text is a re-print from their booklet published by The Air Force Museum Foundation. "The Flying Fortress is one of the most famous airplanes ever built. The B-17 prototype first flew on July 28, 1935. Few B-17s were in service on December 7, 1941, but production quickly accelerated. The aircraft served in every WWII combat zone but is best known for daylight strategic bombing of German industrial targets." 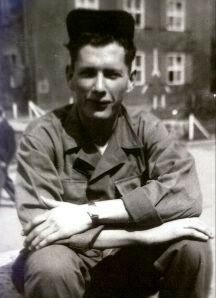 Read Wally Hoffman's thrilling story of the real war 5 miles up over Germany. What does a 20mm shell sound like hitting the skin of a B-17? How does a gunner cope with the real terror watching ME-109s attacking? Read on . . .
Wally Hoffman's "The Frustrated Christmas"
Whether deep in the jungles (picture on left) or at sea on a listing old Troop ship, M/Sgt Tillery doesn't miss a thing. His detailed knowledge of the strategy and tactics doesn't interfere with this gripping personal story that takes him from Camp Blanding to Mindinao to the Golden Gate. 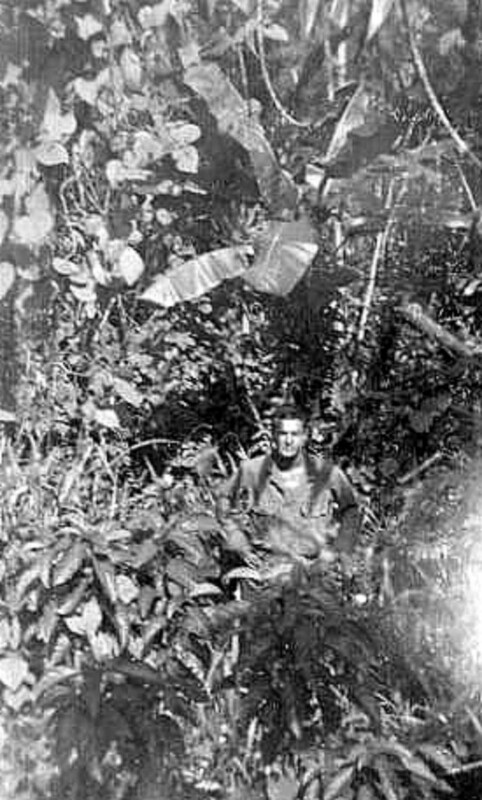 "Dense jungle was found here on Morotai but not as much of it as there was in New Guinea  not as marshy either. From this pic you can see that by getting down or a step or two backward an enemy could pass within a few feet and neither would be aware of the other." On the beach at Saipan. If you ever wondered what it was like to be a Marine in the battle on Saipan, this will make it clear. In one chilling paragraph, Bill Hoover puts you there and starts a series of unforgettable stories. Click on small pictures to get larger view. 1945, Camp Del Mar. The day they dropped the atomic bomb. 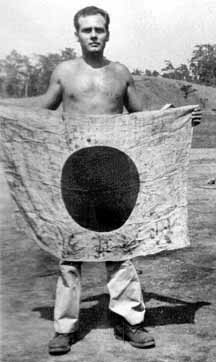 Japanese officer in the sand. I never heard of a Marine calling hiself G I Joe. I don't think I ever will. With Sgt. Jiggs, 1939. 16 year old. This a moving and poignant tale of a mongrel dog and some tough Army troops at a tiny Eglin Army Air Field in 1940. It's hard to imagine the current huge, sprawling Eglin AFB as a small firing range manned by only 35 soldiers but it was. This is a story of GIs who never lost their humanity and of one Warrant Officer who remembers. "A MEMBER OF THE FOREIGN LEGION"
A remarkable series of memoirs compiled by TSgt Allan from his letters home. These stories cover his experiences as a very green young man departing from San Francisco to a seasoned Crew Chief with his own P-38 to keep flying. Read about 1942 Australia as seen through the eyes of an American youngster. You can watch and feel him maturing before your eyes as you read these gripping stories. The Sad story of Admiral Wilcox. Thanks to Capt. William Addison, USN, Ret. On 27 March 1942, at 0310 in the morning, "Man Overboard" alarm sounded on the USS WASHINGTON. Immediate muster of all ship and flag personnel revealed the only absentee was Rear Admiral John W. Wilcox, Jr., USN, the new Task Force Commander. While reading Captain Tilley's story, I was reminded of a part of Tom Brokaw's book "The Greatest Generation." In it, he tells of an old man, Gordon Larsen. He . . . "complained about the rowdiness of the highschool teenagers the night before. My mother, trying to play to his good humor, said, Oh, Gordon, what were you doing when you were seventeen?' He looked at her for a moment and said, I was landing at Guadalcanal.' Then he turned and left the Post Office." Captain Tilley casually remarks that he was one of three officers in his squadron qualified to lead his squadron into combat. This at age 21! The matter-of-fact telling of his story is electrifying! This at that age most of us were still going to spring break, graduation parties, and trying to figure out how we would graduate and still maintain our party responsibilities! 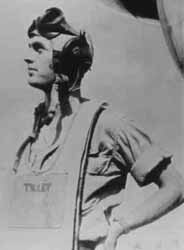 By age 21, Captain Tilley was an Ace combat pilot! 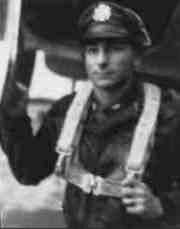 By age 21 Captain Tilley had received a DFC, seven Air Medals, and a Campaign ribbon with seven battle stars. Read his thrilling narrative. The resulting studies determined that there was no increased level of radiation, they still don't know where the remains are and even if found it is in the best interest of the public to leave it alone! To read the complete report and cover letter in Adobe Acrobat (PDF) format, click the star. You must have Adobe Acrobat reader to read this. To get it free click the logo. It will open in a new windows so you won't lose your place. 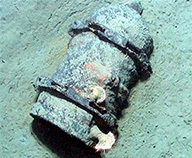 This is NOT the Tybee bomb but a similar underwater find. I would like to contact anyone stationed at the following bases on or before Feb. 5 1958: 444th FIS ADC Charleston, SC AFB and the 792nd Aircraft Control and Warning Squadron, North Charleston, SC. I have just started assembling information about a mid air collision that happened about 70 west of Charleston, SC on Feb 5, 1958 that will ultimately become a novel.